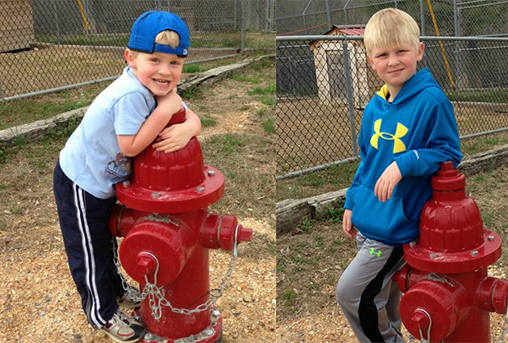 On a recent outing with their dad Mark Willett, brothers Trevor and Dylan posed for a picture with a fire hydrant produced by M&H Valve – “where their dad works.” M&H Valve donated the hydrant to “Tigers for Tomorrow,” an exotic animal park and rescue preserve located in Attalla, Alabama, about 35 miles north of Anniston, Alabama – home to M&H Valve. Mark will soon be leaving Anniston to move and join the team at Clow Valve in Oskaloosa, Iowa, as the new Assistant General Manager. It is always a joy to see our products out and about! If you ever see any, make sure to snap a nice photo and send it to us at media@mcwane.com; we’d love for you to share them with us!